Mexican Cuisine On King Street! 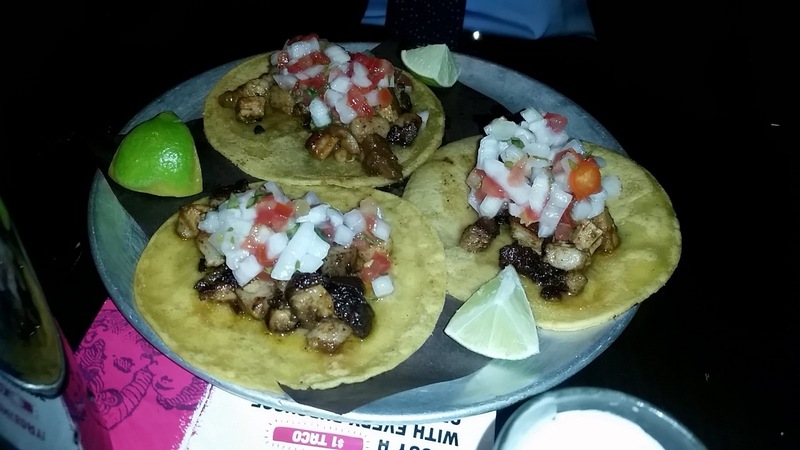 Aside from dining in Mexico, never have I tried out Mexican cuisine in Toronto. 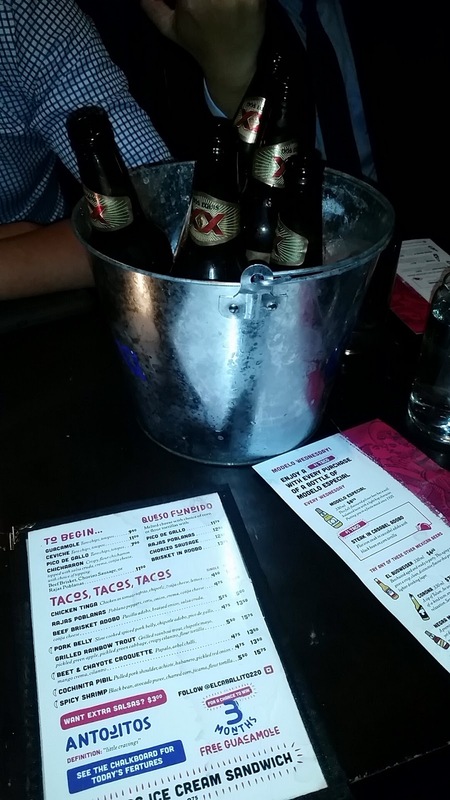 That’s why making my visit to El Caballito with my brother, cousin and her boyfriend was such a treat! 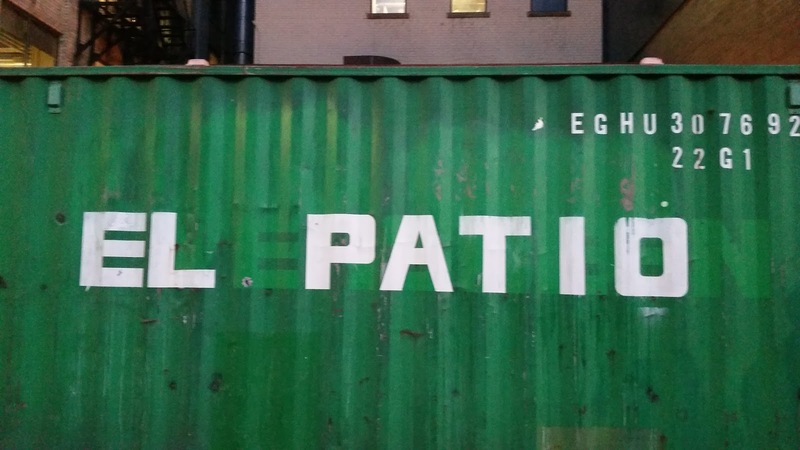 Here my cousin had highly recommended El Caballito for their killer taco selections. 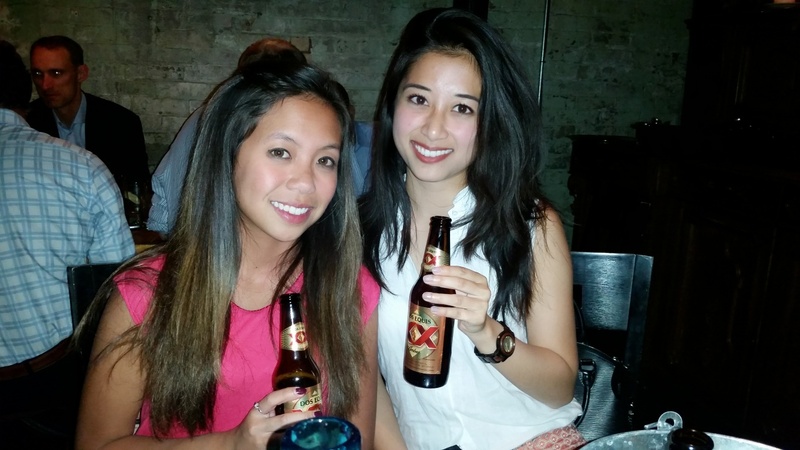 In addition, El Caballito is the only Mexican Tequila Bar in Toronto, which made it that much more special! Initially, we had entered El Caballito from the patio area, and to our dismay the patio was all occupied for a private function. Our visit that night had to take place in their indoor restaurant area, which was quite dark and had wooden architecture. Regardless, the ambiance gave off the dark, pub-like feel which added to the fun that night! We started off with a Bucket of Beer to casually drink (since we had wine in our system already, drinking the beer added some buzz for our gathering that evening). 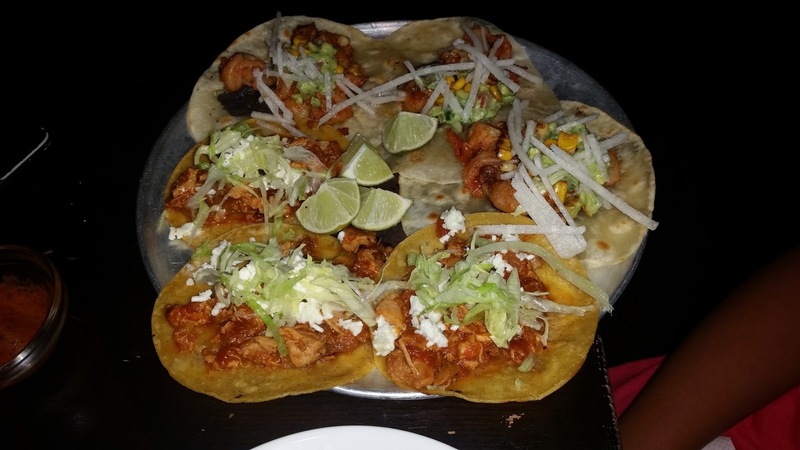 We ended up ordering 3 different taco selections that night: a triple order of Chicken Tinga, Pork Belly and Spicy Shrimp. I will openly testify that I did not have much of an appreciation for Mexican cuisine until that night. To me, Mexican food has also been tapas and beans, but trying out some tacos with my family was definitely a treat. Each taco was freshly made, hot and packed tons of flavor. 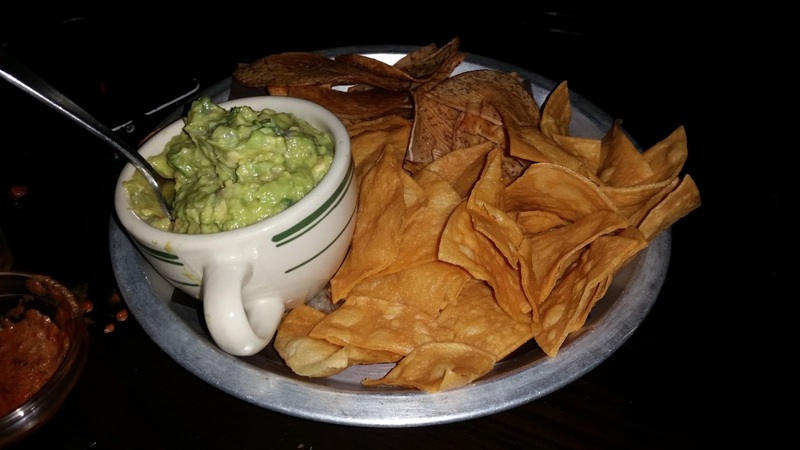 We also ordered some guacmole since we were still a bit hungry – this was paired with taro chips which had a certain crunchiness that paired beautifully with the limey taste of the guac. A perfect little snack to end the evening. Cheers from Alex and I! El Caballito was great because I had the chance to grow some appreciation for the Mexican cuisine, and also because I spent it with some great people in my life. I didn’t think leaving El Caballito, that I would ever crave a taco after that night, but immediately afterwards I just wanted to eat another one! For all Mexican cuisine lovers, or for the foodies who want to try something new, El Caballito promises fun, great-tasting food and times to remember.